Listen to some politicians and you’d think that America’s wealth should be a source of anger, not thanksgiving. 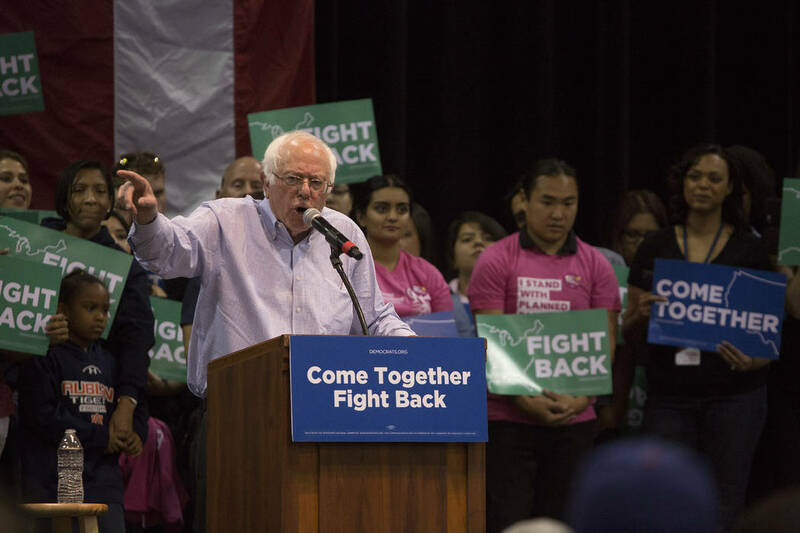 Bridget Bennett/Las Vegas Review-Journal “Today, we live in the richest country in the history of the world, but that reality means little because much of that wealth is controlled by a tiny handful of individuals,” U.S. Sen. Bernie Sanders writes on his website. Listen to some politicians, and you’d think that America’s wealth should be a source of anger, not thanksgiving. “Today, we live in the richest country in the history of the world, but that reality means little because much of that wealth is controlled by a tiny handful of individuals,” U.S. Sen. Bernie Sanders writes on his website. Tucked away in Sanders’ statement is the assumption that when other people have a lot, you are worse off. That argument makes intuitive sense. If you have $20 and someone takes it from you, he has more and you have less. That’s a zero-sum scenario. But Amazon founder Jeff Bezos isn’t worth $140 billion because of what he stole. He’s fabulously wealthy because of what he created. Just like Bill Gates, Sam Walton and Oprah. In a free market, you make money by best meeting people’s needs and desires at a price they are willing to pay. These are mutually beneficial exchanges, which create value. When you shop on Black Friday and exchange your $20 for a new shirt, both parties win. You value your purchase more than the $20, and the retailer values your money more than the item. Everyone wins. That’s different from government picking winners and losers by handing out subsidies. This means that those who’ve made the most money in a free market have done the best job of providing what other people want to buy. There are even significant benefits to the people who don’t participate in the original transaction. Consider the so-called “Robber Barons,” such as John Rockefeller, Andrew Carnegie and Cornelius Vanderbilt, who lived 100 years ago. These were some of the richest people in the world, yet you have better stuff than they did. They never owned a cellphone. The phone in your pocket is a telephone, camera and portal, via the internet, to incomprehensible amounts of information. Things you take for granted would have been unthinkable luxuries to the world’s richest men just 100 years ago. Sanders ignores these improvements to imply that Americans can’t get ahead because the wealthy control too much. Not so. “A University of Michigan study that followed a given set of working Americans from 1975 to 1991 found that 95 percent of the people initially in the bottom 20 percent were no longer there at the end of that period,” Thomas Sowell writes in his book “Discrimination and Disparities.” Twenty-nine percent of those who had started in the bottom 20 percent had even made it to the top 20 percent. A 2014 Harvard study found that income mobility has remained stable over the past two decades. Debates like this would have been foreign to the pilgrims. In 1621, they unknowingly started Thanksgiving by praising God for a good crop of corn. Less than a year earlier, about half of their group had died from sickness and cold. They were thankful to have enough food to survive. How much more grateful should we be to live in the wealthiest country in the history of the world — even though someone, somewhere has more than us?